Tape oviparous animal pictures around the room. Students walk around with the recording sheet, count the letters in each word, then write the word in the correct spot. 3 page book (plus a cover. Students write the animal name on each page and illustrate. 3 page book (plus a cover. Students write something they hope to find in their Easter basket. 5 animals and a recording sheet. 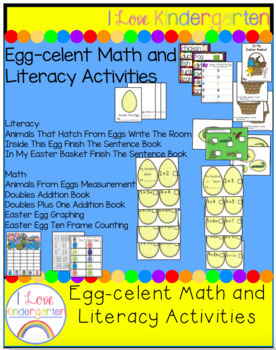 Students measure (with rulers, unifix cubes, or other non-standard measurement manipulatives) and record the length of each animal in an egg. Cut out each egg shaped page, and staple into a book. 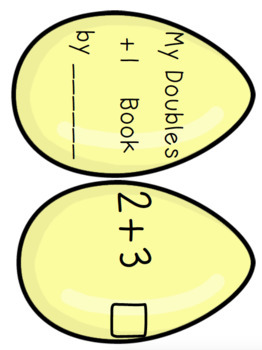 Students decorate each page with dot stickers to illustrate the "doubles" addition problems. 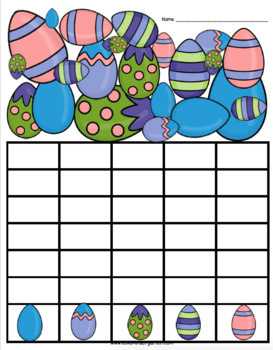 Cut out each egg shaped page, and staple into a book. Students decorate each page with dot stickers to illustrate the "doubles plus one" addition problems. 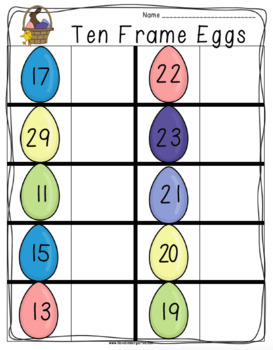 Graph the eggs in the picture. Cut out the ten frame numbers, and match to the correct numeral.